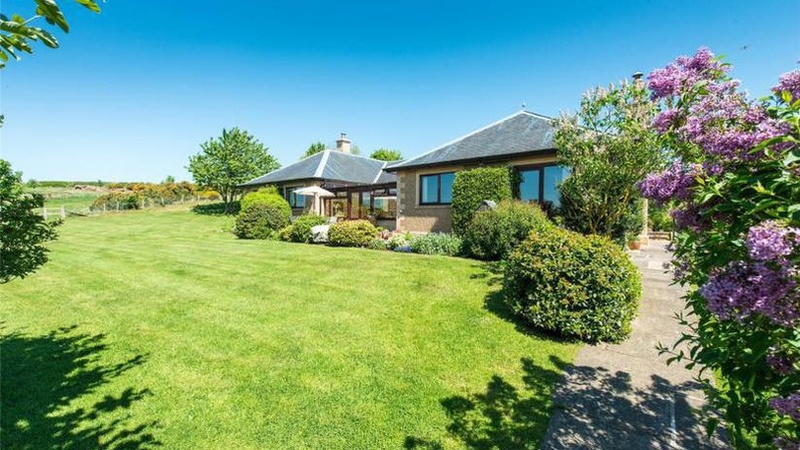 The Scottish Borders' property market holds strong as lifestyle factors and value for money continue to attract buyers from within Scotland as well as south of the Border. The latest figures compiled by Galbraith indicate another healthy quarter (Oct Dec 2017) in terms of residential activity for the firm's Galashiels and Kelso offices. Galbraith handled an 8% increase in sales this quarter in the Borders, compared to the same quarter in 2016 and the number of viewings conducted by Galashiels increased by 35% over the same period with Kelso overseeing 11% more property viewings. The Scottish Borders continues to offer a fantastic lifestyle for families as well as those keen to enjoy a more relaxed pace of life, be it retired couples or young professionals looking for a better work-life balance and perhaps setting up a business from home. We had 17% more prospective buyers registering with us in Kelso last year compared to 2016 which is a real indication of confidence in the Scottish Borders property market. Buyers from all over the country are attracted to the region, many renting first while they search for a suitable new home. Having a strong database of active buyers, sellers and renters allows us to cross sell our services and equips us with unparalleled expertise and local market knowledge. What was also encouraging was the average time taken to sell a property through the Galashiels office during this quarter dropped, with the shortest time being only six days. Buyers are ready to move when the right property comes to market, particularly in the 200,000 - 350,000 price bracket. There is a general shortage of properties for sale across all price brackets, with farms and rural properties being in great demand, especially ones with around five acres of land, however as we approach the Spring selling season we envisage a new wave of properties coming to market. Across Scotland as a whole, Galbraith has witnessed a healthy 20% increase in sales for the quarter ending 31 December 2017, compared to the same quarter of 2016. The firm handled over 54 million worth of property sales over the past quarter alone. This is an impressive detached family home in a tremendous location being both peaceful and accessible. The house lies at Benrig, between St Boswells and Maxton, and a short walk to the River Tweed and the Borders Railway provides a regular train service between the Scottish Borders and Edinburgh. Brimham House is a superb detached family home which dates from 1998 and has been finished to a high standard. The spacious, versatile, well-appointed and thoughtfully designed accommodation is all at ground floor level and there is an exceptional selection of outbuildings including a range of garages/workshops which have previously been used for a business. The sale also includes two fenced paddocks with another grassed area with fruit trees, which could be used as a further paddock or riding arena. The Galbraith lettings department in the Scottish Borders also enjoyed a successful quarter, with an increase in properties let of 5% compared with the previous quarter. The demand for let properties in the Scottish Borders continues to be very strong. The shortest time we took to let a property was just one day! The overall average was 12 days. There is a shortage of property with three double bedrooms to let especially in Galashiels. These are being snapped up as soon as they become available. The most sought-after areas are Galashiels, Melrose, Peebles, and also Selkirk for larger 3-bedroom houses. Many couples and families are looking to pay around 550-650 per month, but tenants are prepared to pay a premium for well-decorated rental properties, particularly flats. Landlords who spend money to renovate and re-decorate their properties to a high standard will find their properties will let very quickly and they will gain a good-quality tenant. Many of our landlords are keen to do this as it is a win-win situation for them. The deadline for compliance with the Scottish Government's new Lettings' Agent Code of Practice is 1 October 2018. Susan Watson is one of a number of members of the Galbraith lettings team already qualified, with the firm aiming to be fully compliant six months before the deadline. Galbraith let and manage over one thousand homes across Scotland and the Scottish Borders is one of the busiest regions in the country for lettings. Services to suit all landlords.